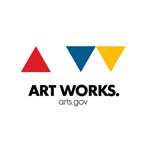 In 1994, a team of community leaders recognized the need for a performance venue. At the time, the intent was to provide a performance home for the Paducah Symphony Orchestra, which rehearsed and performed in an abandoned school auditorium. 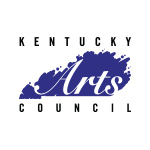 Upon the urging of these leaders, donors, elected officials and industry professionals became actively involved in developing a performing arts center for the region, encompassing western Kentucky, southern Illinois, southeast Missouri and northwest Tennessee. Because of the four rivers located in the region (Tennessee, Ohio, Cumberland, and Mississippi), and because the facility was intended to be a regional draw, it was originally named the “Four Rivers Center for the Performing Arts” (Four Rivers Center). 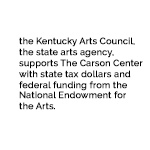 The name was changed in January 2004 to the "Luther F. Carson Four Rivers Center", and is now referred to as the "Carson Center", and regularly draws people from the four states listed above, in addition to southern Indiana and eastern Arkansas. The Carson Center is truly a regional performing arts center! In total, thirteen counties passed resolutions supporting the construction of the Luther F. Carson Four Rivers Center with the hope it would help stimulate the regional economy and enhance education. 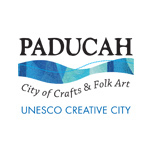 The Paducah Area Chamber of Commerce also designated the arts center as a Priority Community Project – the result of a vote at a public forum. With the business community publicly behind the project, the Luther F. Carson Four Rivers Center took an unprecedented step by first raising endowment funding to help operate the center once it was built. Community leaders felt this would help ensure the fiscal strength of the Center and encourage others to support the project. The tactic worked, and by 2001 construction of the Four Rivers Center was underway. Significant completion of the building was reached January 2004 and the grand opening weekend was February 27 and 28, 2004. The opening weekend celebration featured Vince Gill on Friday, February 27th, and B. B. King with Bobby “Blue” Bland on Saturday, February 28th, with an Open House on Saturday, February 28th, from 10am – 5pm. The “Luther F. Carson Four Rivers Center” was named in honor of the late Luther F. Carson in recognition of the family’s significant support of the Center and its mission. Carson’s daughter and son-in-law, Jane and Dr. Louis Myre, have generously continued Carson’s commitment to the community and to the arts in particular. The building is named in honor of Mr. Carson, and his stalwart belief in the people and future of our region. One hundred years ago, a local man named Luther F. Carson began bottling and selling a new soft drink in Paducah. That soft drink was named Coca-Cola. On March 27, 1903, Mr. Carson personally carried the first case to a nearby grocery store owned by George Wolf, who paid Carson 70 cents for it. 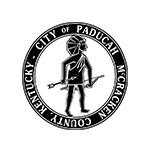 The small Paducah bottling company gradually expanded into 18 bottling plants, while Coca-Cola grew into an internationally recognized symbol of American uniqueness. Luther Carson grew up on his family’s farm in the tiny community of Kirksey, located in Calloway County, Kentucky. He moved to Chattanooga, Tennessee, in 1899, along with his brother John, to work for their uncle’s incline train on Lookout Mountain. While there, they met two men who were looking for people to bottle and sell Coca-Cola commercially. They invested $2,700 and began selling Coke in Paducah. Deliveries were made in the Paducah area by wagon for the first nine years of their bottling operation. In 1939, the plant moved from its location at 6th and Jackson to the well-known landmark building at 31st and Broadway. Recently, Paducah celebrated the 100th anniversary of the Coca-Cola Bottling Company located here.